March 2018 - The Clunie Concerts are back! ...get last tickets for Friday 29th March!! The Clunie Concerts which took place in the Clunie Village Hall on a spring weekend from 2007- 2014 are back! They were usually sold out in advance and truly great events! The audience travels from the USA, England, Denmark, Germany and many other countries…as well as from nearby farms and towns to enjoy Dougie performing in the 'transformed' intimate setting of one of the village halls that he frequented as a child growing up in Perthshire. 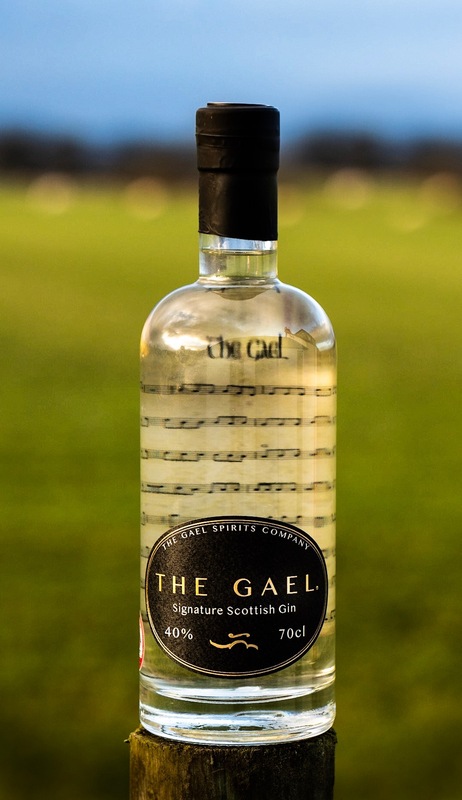 Through Dougie’s recent on-stage introduction with his fiddle, many of you will have heard about the coming of "The Gael" - the Signature Scottish Gin which became available available (in the UK only) for online sales from 6pm today (Friday 7th December). 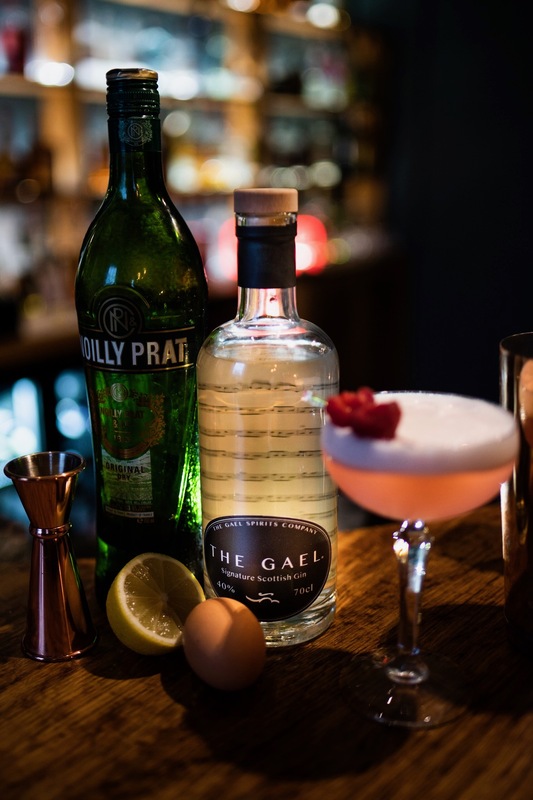 With a very close family connection and a brilliantly designed bottle it is described as… "Inspired by the Internationally acclaimed Scottish fiddle tune "The Gael" Signature Scottish gin is five times distilled from malted barley using a blend of traditional botanicals and a hint of Scottish heather. The result, a gin with a light citrus nose, following through with juniper, cardamom and a warm finish." Visit the website www.thegael.co.uk and be one of the first to place your order … and share (and enjoy it!) over the festive season. We’ve had a truly great run of concerts over the last few months…from 4 sold out concerts in the north east USA to sell-outs at the the Cornwall Festival in Wadebridge and the Banbury Festival in Oxfordshire, England. Then came our great concerts in Scotland from Findhorn and Strathpeffer in the north to New Galloway in the borders via Falkirk, Greenock, Paisley, Milngavie and ending in Cairndow, Loch Fyne! All fantastic audiences and really moving experiences. Confirmed concerts for 2018 are coming in steadily now…so keep an eye on the concert list on Dougie’s website https://www.dougiemaclean.com/index.php/tour-dates and, to avoid disappointment, book early!! We’ve had some great broadcasts since our last summer newsletter!…from 3 different 'locations' at Butterstone! and wonderful responses to the latest October Live Broadcast which is of course now available for subscribers to view 'on demand' at www.butterstone.tv. Dougie was in great form! Our global audience included viewers from South Korea, New Zealand, Australia, France, Denmark, Norway and many other European countries and all parts of North America!...as well as all parts of the UK! Choice of songs amazingly spot on. Touched the hearts of many and something for everyone. Enjoying the show from Newcastle-Upon-Tyne. Great choices and fantastic sound quality! The camera work is so well done! Love the pan of the whole room to see the other instruments, and the close up of His self! Brilliant! Don’t forget our Butterstone online store! It’s a really good idea to order really early any items you may want for Christmas or the New Year (especially Caledonia T-Towels, magnets and key-rings which many have discovered are easy and cheap to post to friends and relations!!). Enjoy the rest of the month wherever you are in the world! Dougie to be one of the headliners at HebCelt 2017! 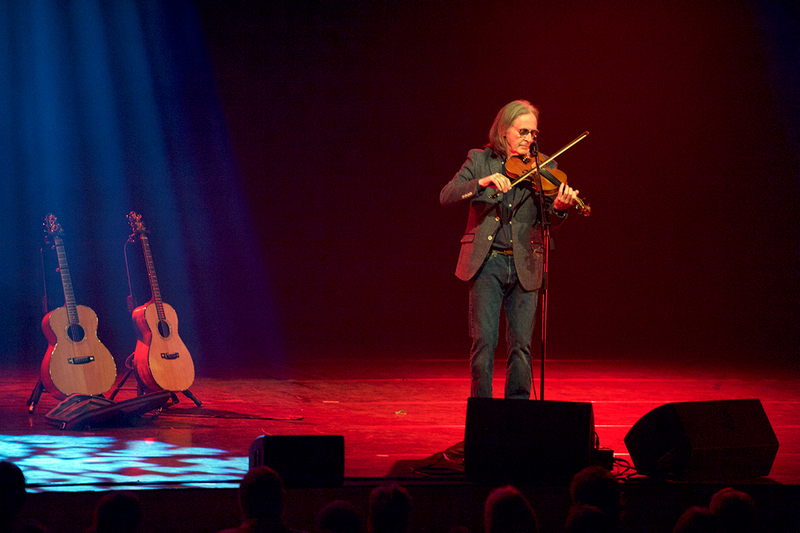 Dougie MacLean, one of Scotland’s most revered singer songwriters, is making a return to the Hebridean Celtic Festival next year, more than two decades after he helped launch the event which has become one of Scotland’s most successful music festivals. MacLean, who appeared at the first HebCelt in 1996 and is in the festival’s Hall of Fame, will take his solo show to Stornoway in 2017. He said “HebCelt is rightly regarded as one of the best festivals because of its unique setting, the wonderful atmosphere and great music programme. Great concert added in to July tour in England! A concert in St Albans at the Alban Arena on Saturday 25thhas been added to the list of wonderful venues on Dougie's July Tour. He's also performing in The Sage, Gateshead on Tuesday 21st, the East Riding Theatre, Beverley on Wednesday 22rd, The Gulbenkian Theatre, University of Kent, Canterbury on Thursday 23rd and The Apex, Bury St Edmunds in Suffolk on Sunday 26th July. We are looking forward to covering some territory in the trusty camper/tourbus "Caledonia 2" bearing lots of CDs, DVDs, songbooks, artprints and ...yes...Caledonia T-shirts and T-towels etc! See you all there!